We are excited to bring back Artistic Director Ronald K. Brown and his company EVIDENCE to the GPAC stage after last presenting the dancers in 2011. Mr. Brown is one of the most important and iconic voices in dance today blending traditional African dance with contemporary choreography. Mr. Brown uses movement and storytelling as a way to reinforce community and beauty in African American culture. EVIDENCE’s mission is to promote understanding of the human experience in the African Diaspora with authenticity and artistry, which directly aligns with GPAC’s mission to educate, engage and transform all audiences. It is our hope that these events recognize and celebrate the many achievements of African Americans in our city and beyond. This panel discussion will highlight African American dance artists creating and performing in the Mid South. We will talk current aspirations, challenges and how choreographers like Ronald K. Brown have changed the landscape of dance in America. Panelists include Wayne Smith, N’Seeka MacPherson and Daphne Lee. Arcell Cabuag (Associate Artistic Director of RKB) will teach a Master Class for students at Overton High School for the Creative and Performing Arts on Friday, February 23. GPAC has a well-established partnership with Overton, connecting their CAPA (Creative and Performing Arts) students with visiting dance, music, and performing artist through master classes, clinics, school matinees, and open sound checks. This class will begin with meditation and floor work that includes stretching and mind-body centering exercises. Center floor work or barre work will include alignment and the introduction of the various dance techniques that are incorporated in the vocabulary of Ronald K. Brown/ EVIDENCE. Phrases across the floor will use influences from the western modern dance as well as traditional and social dances from West Africa, the Caribbean, and the U.S.
Students and teachers from Overton High School for the Creative and Performing Arts will receive a voucher for a FREE ticket to the public performance. Ronald K. Brown will teach a Community Master Class on Friday, February 23 at 6pm in the Communication and Fine Arts Building Room 124 at The University of Memphis. Designed for intergenerational participants, RKB's Community Master Classes can accommodate students of various skill levels, from those with a wide range of dance experience to those with none at all. Classes begin center floor with an emphasis on alignment, rhythm, and using the body to express ideas and themes: strength, prayer, and celebration. The class will continue with center floor work and dance phrases across the floor. 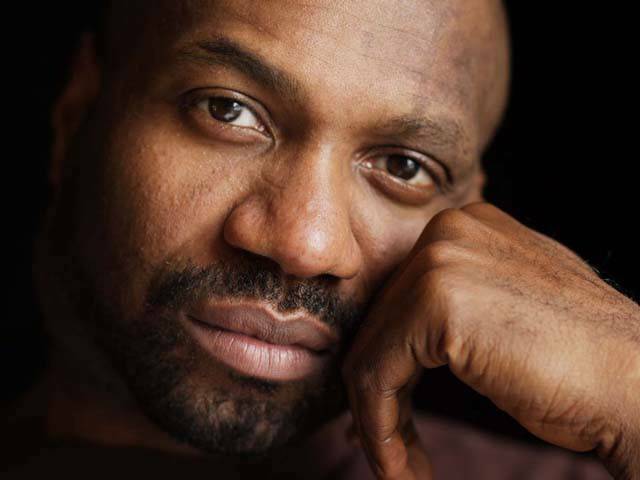 Master Class participants can receive a $10 ticket to the Ron K. Brown/ EVIDENCE performance at GPAC. Please give the box office your name when purchasing your ticket. Founded by Ronald K. Brown in 1985 and based in Brooklyn, New York, Evidence, A Dance Company focuses on the seamless integration of traditional African dance with contemporary choreography and spoken word. Through its work, Evidence provides a unique view of human struggles, tragedies, and triumphs. Brown uses movement as a way to reinforce the importance of community in African-American culture and to acquaint audiences with the beauty of traditional African forms and rhythms. He is an advocate for the growth of the African-American dance community and is instrumental in encouraging young dancers to choreograph and to develop careers in dance. GPAC will host a post performance question and answer session with Ronald K. Brown directly following the show. This discussion will allow audience members to ask questions of the company and learn more about the choreography being presented. Ronald K. Brown/EVIDENCE residency is sponsored in part by South Arts in partnership with the National Endowment for the Arts and the Tennessee Arts Commission. Newer PostAnnouncing the 2018-2019 GPAC Season!